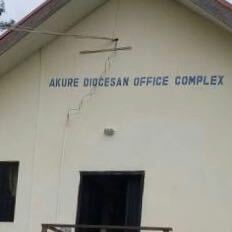 The bursar of the Church of Nigeria’s diocese of Akure was murdered during a robbery this morning of the diocesan headquarters. Mr. Gabriel Kola Abiodun had returned from the bank to the diocesan offices on Thursday morning after having withdrawn N500,000 from the bank. Bandits followed him from the bank to the diocesan offices, where they proceeded to open fire, shooting Mr. Abiodun three times. He died immediately. In a statement issued to the Nigerian media, the Rt. Rev. Simeon Oluwole Borokini noted this was the second time a church official had been robbed after withdrawing money from a bank in recent months, speculating someone at the bank had tipped off the thieves. Bishop Borokini told reporters the diocese he and Mr. Abiodun “both reported to the office today around 8am. There were some funds that needed to be paid in cash and we don’t want to use cheques in paying. So, he had to visit the bank to cash it. The bishop noted today’s murder and robbery was similar to a recent incident. “Don’t forget that few months ago, one of our priests went to collect money from the bank and he was trailed to the school and the money was carted away from him. We suspected some of the people who work in these banks and we think there is a form of networking between them. These bank officials should be warned,” he said.